The origin of the martini is foggy. In the appendix to his book Imbibe, David Wondrich lists four possibilities and ranks them all from extremely unlikely to possible, though even the theory ranked possible comes off as a bit of a stretch. 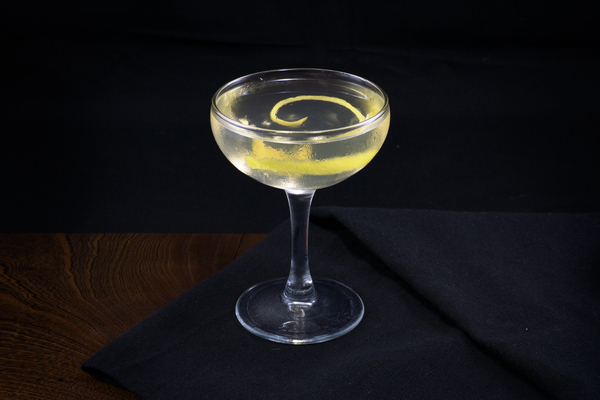 By the 1880s the martini was written about often, though still rather amorphously: it was viewed as interchangeable with the Manhattan, and ordering one required specifying the base spirit and type of vermouth. Most early recipes call for a fifty-fifty ratio (plus bitters), though some, like the turf, were dressed up with fancy mixers such as absinthe or maraschino liqueur. If gin was used, a sweeter old tom variety would be employed. It is easy to think, as we did, that a lack of good vermouth in the post-war era caused the eradication of the classic ratio, but in this case, the cart came before the horse. Americans still felt obligated to carry dry vermouth for martinis, even though almost none of it went into their cocktails. Major brands took advantage of this odd behavior and began selling them the lowest quality product possible. As Adam Ford writes in his excellent book Vermouth: “by 1958 the differentiation of the notable mainstream brands was so narrow that no one, connoisseur or not, could tell the difference between any of the vermouth brands.” This, combined with the general rejection of cocktails and liquor by the emerging counterculture of the 60’s, more or less put vermouth—and martinis that called for more than a dash of it—into a decades-long slumber. 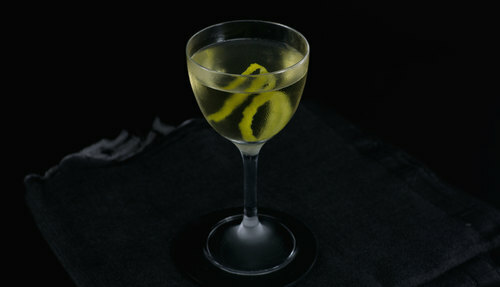 The martini has no right way to be made, though implying that it does has become a long, bizarre cocktail tradition. Indeed, while reading about the history of jokes, contraptions, and social noise around the martini, and how much vermouth should be included, it has become difficult to decide whether people actually liked drinking cups of cold gin, or simply enjoyed collaborating on a massively popular inside joke. Because of this, there is some anxiety around the act of ordering a martini, but don’t let it get you: bartenders are just as likely to scoff at dirty or extra-dry martinis smugly ordered by arrogant patrons, so order whatever you like and be nice. We will, however, say this: drinking a martini with a sizable portion of good vermouth can be an eye-opening and downright divine experience. It is without exception how we drink them. The simplicity of the recipe, combined with the flexibility of dry gin, allows the dry vermouth to speak at volumes rarely afforded. Included here are two recipes for a martini. They are both very different and both very good. The first is a dry martini, mixed in the dry style as FDR made it, with a 2:1 ratio. This cocktail is an excellent representation of everything a martini stands for: gin heavy with intense notes of juniper and alcohol, with subtle fruit and botanical notes from the vermouth, and of course, a bone dryness unmatched by the most sun-scorched desert twigs. It’s dryer than any other drink we will ever print here, but what did you expect? 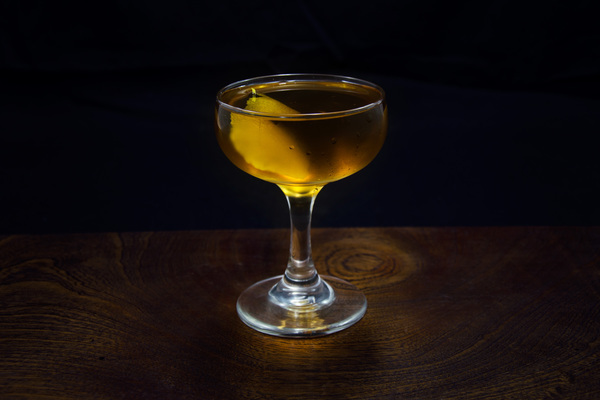 The second is a martini as it was made in the 1800s, with old tom gin and a fifty-fifty ratio. This drink is not a reflection of what the modern martini is, but it is darn good, and might just be a hit with some folks who have written the cocktail off of their lists. Like the dry martini, it has intense notes of juniper, but with additional complexity from the generous helping of vermouth. It is creamier, with a smooth body and boozy finish. It also doesn’t look as much like a martini, changing from crystal clear to a light amber. The most important ingredient one chooses in a martini is vermouth. This isn’t because gin isn’t important, it’s that the floor for bad vermouth is much, much lower. Bad or spoiled vermouth can ruin a martini, so do not use it. Dolin doesn’t mess around, and their base dry vermouth will treat you well. We prefer La Quintinye vermouth royal for its smooth, cocktail-friendly body yet energetic mix of botanicals. If you are really looking for an adventure, try Ransom’s dry vermouth out of Oregon. It is wild and bold, with intense notes of cardamom and wormwood. When pairing a dry vermouth with a gin, think about which bottle you wish to feature. A complex gin will go nicely with a simpler vermouth, and vice versa. Of course, there really are no rules in the world of cocktails, so go ahead and mix away. Early martinis request orange bitters, and we think for good reason. In fact, all sorts of light, citrusy bitters work great in this drink. One thing we cannot advise is the use of olives, olive juice, or any kind of food. These ingredients are commonly used to soften the shocking dryness of a 15:1 martini, but they do not taste good with dry vermouth. Instead, opt for a lemon twist, which brings out the best in both ingredients. The martini, like its sibling the Manhattan, is rife for exploration. 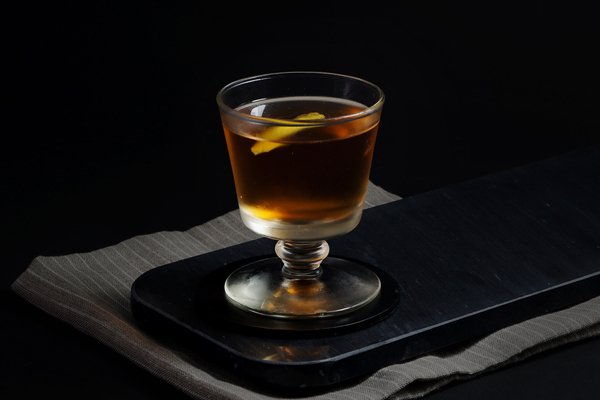 Blanco vermouth—a light vermouth with a semisweet profile—makes for an awesome cross between a dry martini and a fifty-fifty one. Many subtle and fantastic variations are also available, including the Ford, el presidente, and turf.